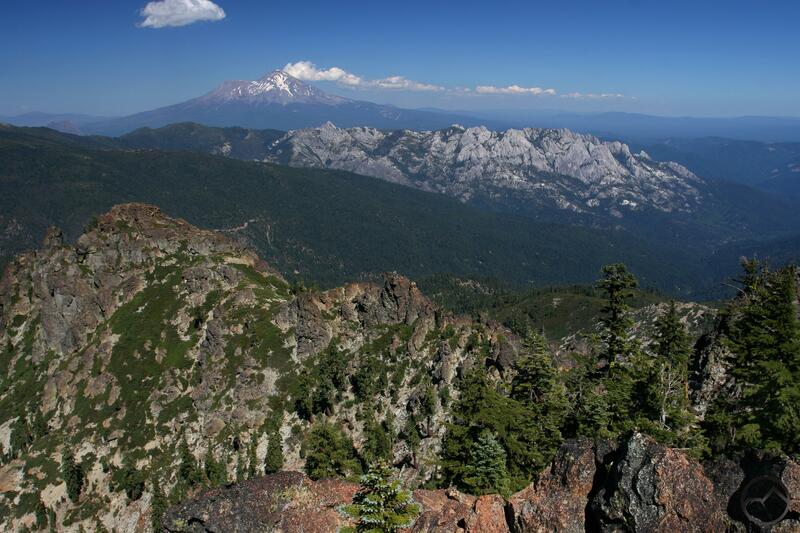 A seldom seen vista of Mount Shasta, the Castle Creek drainage and the Castle Crags. 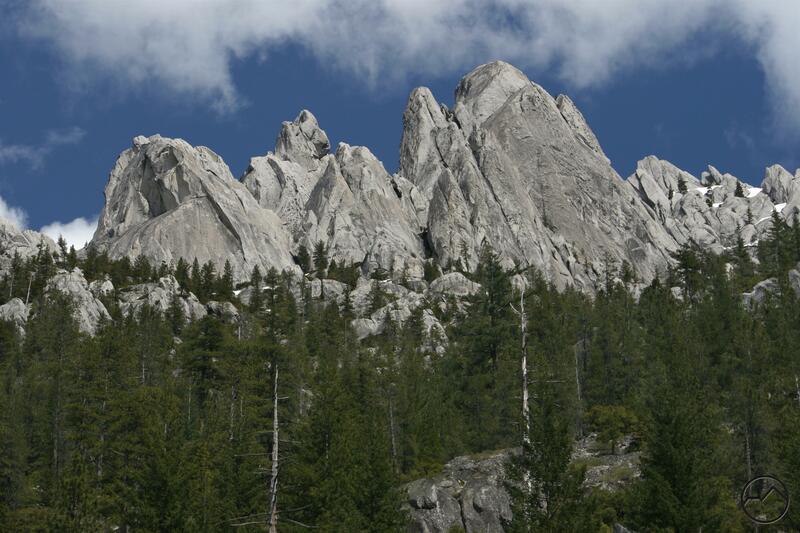 I started this post off this morning with the intention of highlighting the three Seldom Seen articles I have written that covered areas around the Castle Crags. As I wrote, a spark of an idea kept tugging at the corner of my mind until, after considering it for a little while, I scrapped my post and decided to shift the emphasis. The three areas I have written about already are the Grey Rocks, Castle Creek and the confluence of Castle Creek and the Sacramento River. 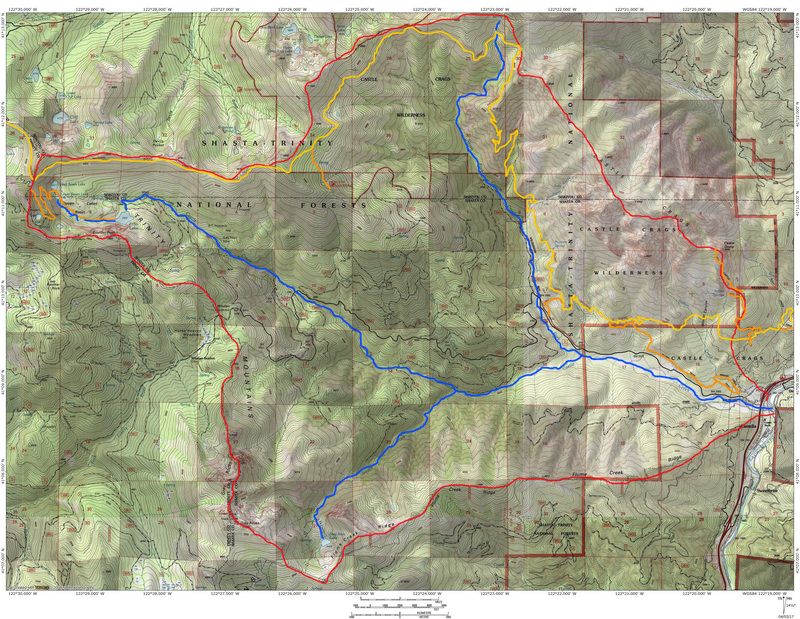 These are all located in the Castle Creek watershed, which is located on the south side of the Castle Crags. As the nature of the Seldom Seen posts suggests, these areas are not heavily trafficked. This is also the case with the entire Castle Creek watershed taken as a whole. The lone exception to this is the lower flanks of the Castle Crags themselves, where Castle Crags State Park and the Pacific Crest Trail attract visitors. Beyond these pockets of activity, the entire watershed is left abandoned, with only rock climbers, motivated history buffs and some dedicated explorers and peak baggers enjoying what the area has to offer. The Grey Rocks loom high above Castle Creek. 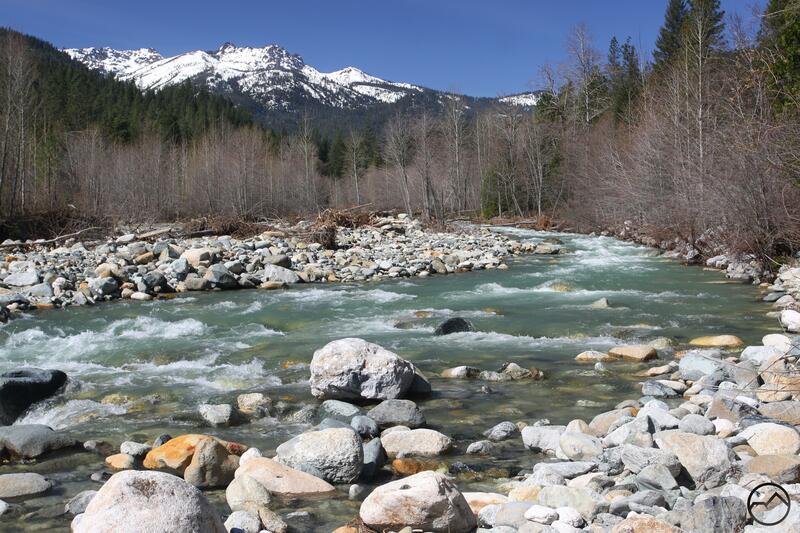 Yet the Castle Creek watershed is easily one of the most spectacular destinations in Northern California. Almost everything nature lovers could want is found here: soaring granite cliffs and needle-like spires, a large, powerful creek, numerous waterfalls, isolated mountain peaks, expansive vistas, crystalline alpine lakes, lush meadows, deep forests and fascinating historical sites. More than that, the area is arranged in a compact, easy-to-access valley with a paved road climbing to the higher elevations. In short, this could be an incredible recreation resource, if the conditions aligned to make it thus. An utterly isolated basin in the Castle Creek watershed. Though the watershed is easily the largest tributary of this upper section of the Sacramento River and it boasts many superlative landmarks, there are relatively few trails capitalizing on the beauty of the area. Naturally the Castle Crags are going to attract attention, but even there the paucity of trails is surprising and disappointing. There is an amazing number of trails waiting to be built, all of which lead to gorgeous destinations. The Grey Rocks are completely untapped, Flume Creek Ridge has incredible views, the waterfalls on the South Fork of Castle Creek are very hard to reach, the main stem of Castle Creek itself is trailless, the historic Ruby Pearl Mine is all but abandoned and many great perches at the base of the Castle Crags cliffs’ are left only to climbers. Even more destinations besides these await to be enjoyed. Despite the terrific natural beauty, if the Castle Creek watershed were to ever be developed as a recreation destination, significant barriers would need to be overcome. The most significant is the patchwork of landownership that has broken up the watershed. 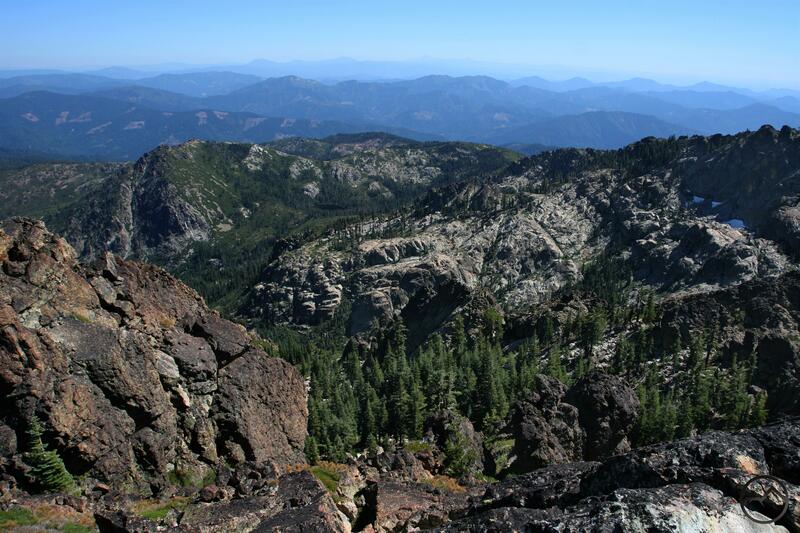 Shasta-Trinity National Forest, Castle Crags State Park and numerous private land owners all own substantial portions of the Castle Creek area. This results in fragmentation of land management philosophies, public access and an overall vision for the resource. If all the land was brought under one administration or a cooperative management plan was developed between stakeholders, it would be possible to see more preservation and recreation development take place. Personally, I would love to see the state park handed over to the Forest Service and a Castle Crags Recreation Area developed. That way silly incidents like the Rush Creek ADA status might have been avoided. Naturally, there are those who are quite happy with the undeveloped state of the Castle Creek watershed and would oppose any such changes as have been mentioned here. I confess that a part of me concurs. Nonetheless, I think that, in general, more access and more trails is always a good thing. Creating opportunities for people to enjoy the amazing scenery and the sublime land that we are blessed with will encourage them to work to preserve it and other areas. If developed, a premier destination like the Castle Creek watershed would only help the local economy as well. It would serve as a fantastic southern counterweight to the Gateway expansion. It is unlikely that anything at all will change in the Castle Creek watershed, but for those motivated to get out and explore, one of the most spectacular landscapes in Northern California awaits. It stands alongside Mount Shasta itself and the many other stunning regions in the most stunning state. PCT view of Seven Lakes Basin. The Grey Rocks rise above Castle Creek Valley.